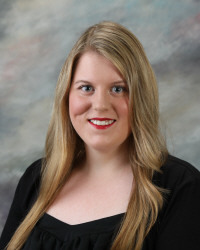 After a selective admissions process alumnus Sarah David (’12) has been selected as one of only 42 students chosen for Gonzaga University’s esteemed Comprehensive Leadership Program. The program vetted through hundreds of applicants with numerous talents and a wealth of experiences to continue the tradition of studying leadership with an intellectual and ethical fervor. David’s class of 2016 leadership team is encompassed of students from around the world including Alaska, California, and Thailand. “The interplay between the academic undertakings and leadership development promises to provide each student with further insight and skills to utilize in their endeavors at Gonzaga and in their professional careers,” stated a press release from the University. Over the next three years in this leadership studies program, students will be challenged in new ways to understand themselves, their world, and their role in being leaders for others. The Comprehensive Leadership Program at Gonzaga is a three-year program designed to offer students curricular and co-curricular learning opportunities to develop knowledge and skills for leadership.